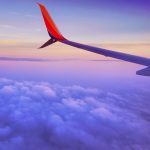 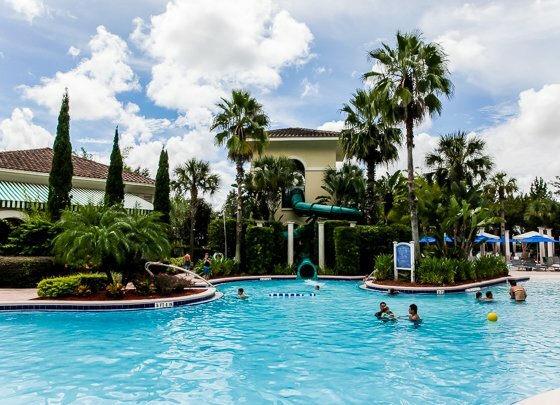 Are you planning to head to Orlando, Florida for your upcoming family vacation? 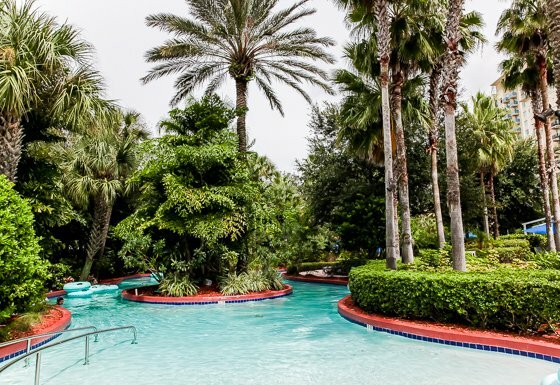 Chances are youre looking for the perfect resort to help make your vacation last longer in your memory. 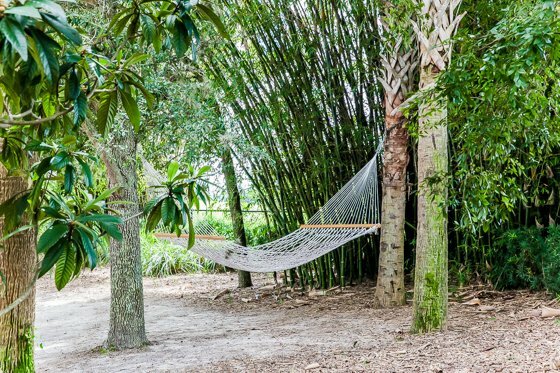 A place where an appetite for unlimited fun and plenty of rejuvenation for both mind and body blend in the most elegant and natural way. 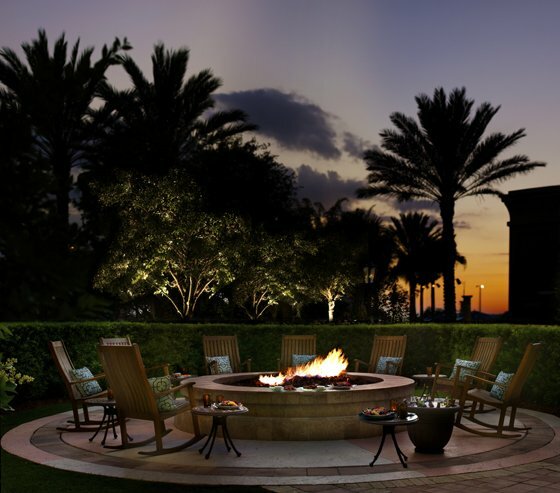 At Omni Orlando Resort at ChampionsGate, you get exactly that: a luxurious experience that comes second to none. 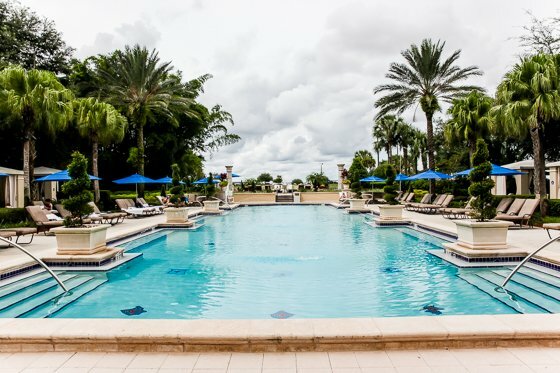 Welcome to Omni Orlando Resort at ChampionsGate, a Four-Diamond resort located just minutes away from some of the most popular and exciting Orlando attractions, where unique experiences are unavoidable. 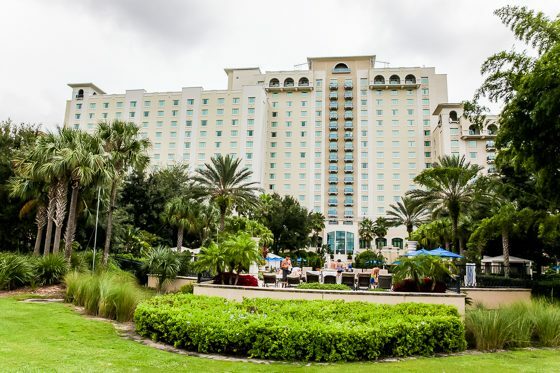 Whether it’s a short retreat to recharge your batteries or a family vacation to create lots of wonderful memories, at Omni Orlando Resort your getaway is sophisticated, elegant, and specifically tailored to your individual needs. 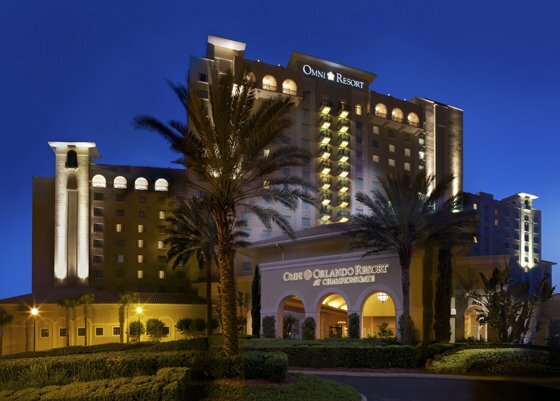 Omni Orlando Resort at ChampionsGate is located in central Florida, in the city of Orlando. 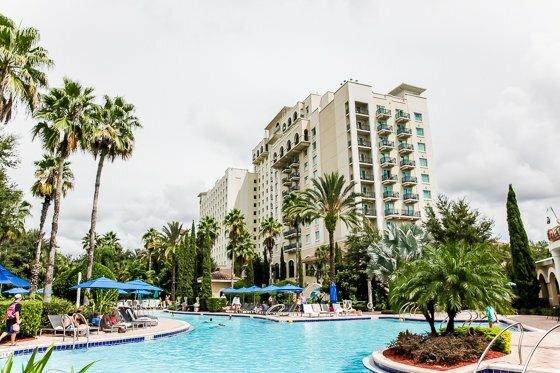 Widely known as “The Theme Park Capital of the World“, Orlando is home to Walt Disney World, SeaWorld and Universal Studios, three of the worlds top theme parks, located less than half an hour away from the resorts premises. 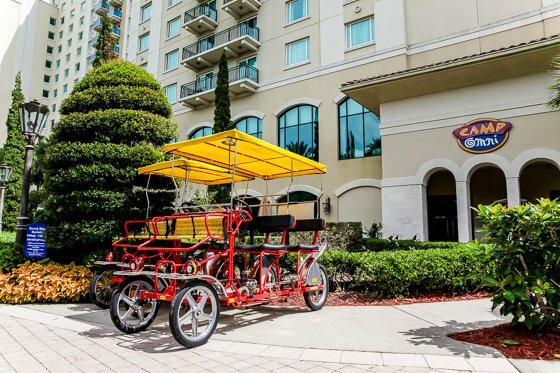 Complimentary scheduled transportation to Walt Disney World is available four times a day upon an advance 24-hour reservation, and transportation to other area attractions is also available at an additional charge. 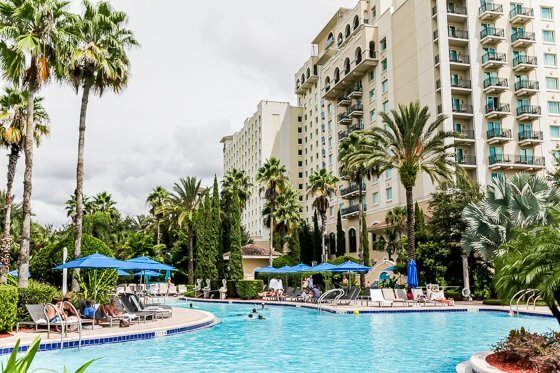 Far enough to disconnect from overcrowded places and prioritize relaxation, yet close enough to delight your children with visits to legendary theme parks, Omni Orlando Resort has something to satisfy each guest, be it grown-up or child. 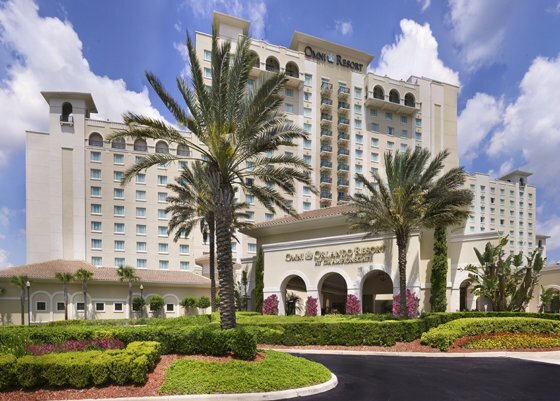 Omni Orlando Resort at ChampionsGate is located only 25 minutes away from Orlando International Airport and one hour from Miami. 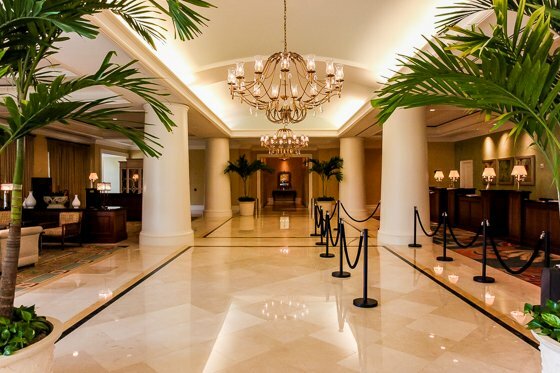 More information on available shuttles and direct services is available here. 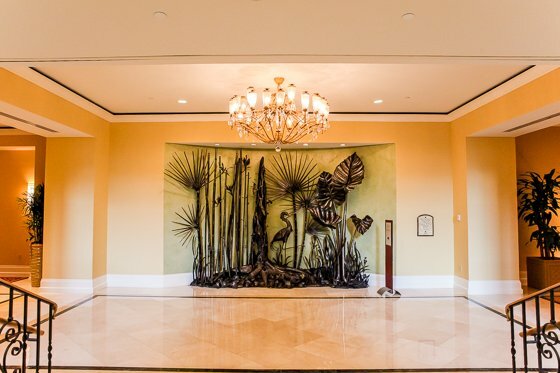 As a 2015 Winner of the TripAdvisor Certificate of Excellence and with 1,200 acres of scenic natural wetlands, the Omni Orlando Resort at ChampionsGate is not just another leisure retreat. 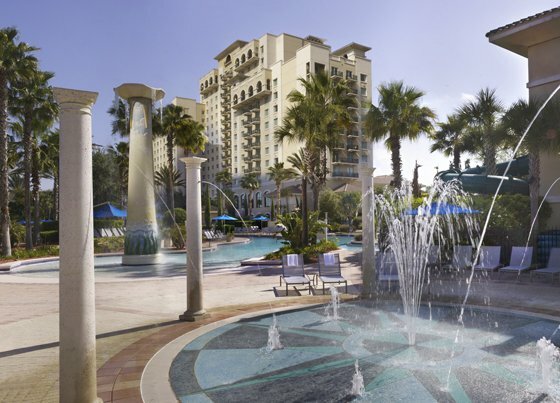 Drive down the charming, palm-tree lined boulevard and enter through the awe-inspiring gates, the Omni Orlando Resort at ChampionsGate emerges in all its Mediterranean-style splendor, magnificent and ever so welcoming. 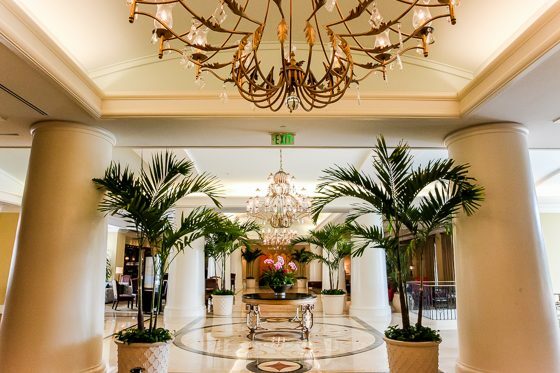 Entering the grand lobby, a gorgeous interior with sun-splashed hues dominating the décor, whimsical paintings and sculptures complementing the warm atmosphere, and friendly staff greeting you upon arrival, theres hardly any better place to be than here, at Omni Orlando Resort at ChampionsGate. 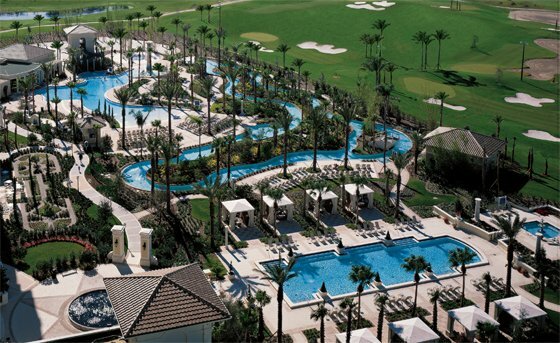 For your vacation in Florida, Omni Orlando Resort at ChampionsGate will be your personal 15-acre playground. 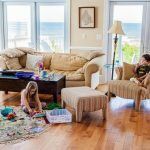 With places to sit and lounge, enjoy a conversation or take a walk enjoying the light breeze, there is always a beautiful spot to discover and let yourself unwind while your kids play without a worry. 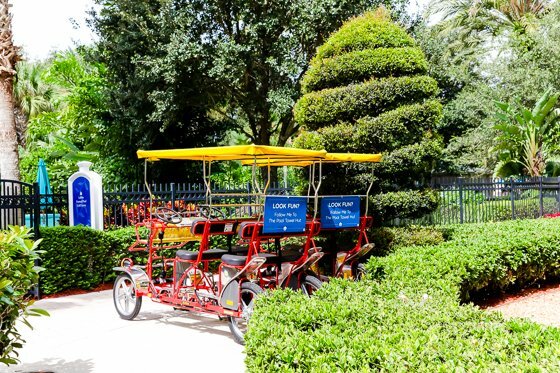 Lush and meticulously cared for vegetation, palm trees, shrubs and flowers decorate the resort, offering magnificent, green surroundings on every turn. 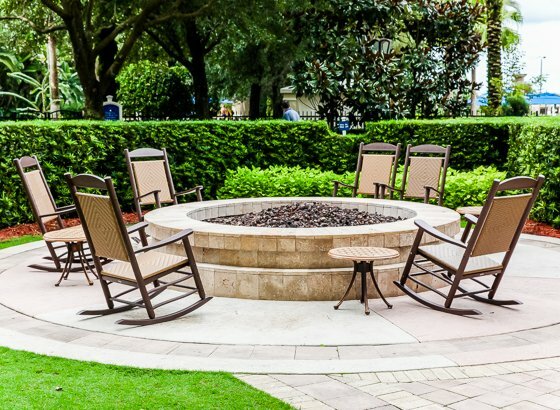 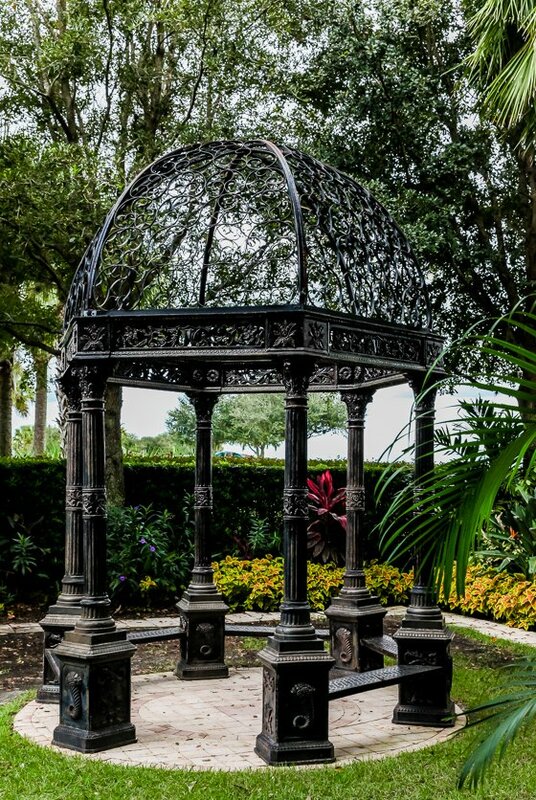 Nestled in the lively evergreen backdrop, enjoy a casual gathering by the fire pit, sit comfortably in a rocking chair to watch the sunset, or take an afternoon stroll around the recreational grounds of Omni Orlando Resort with your family. 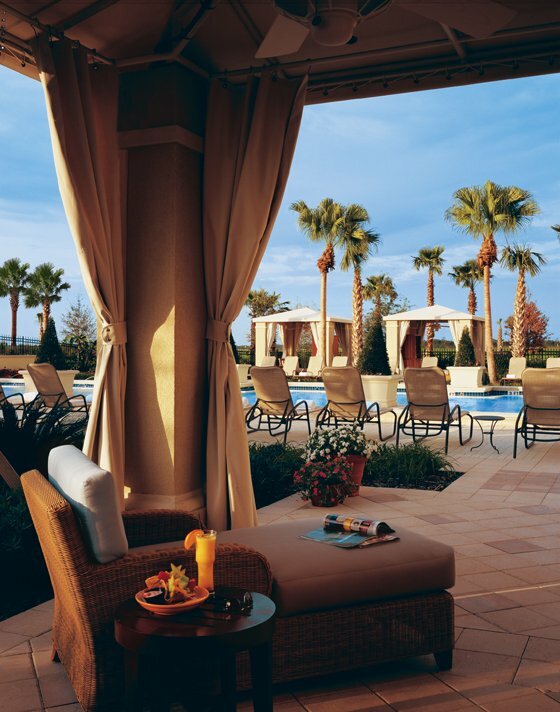 Get a taste of genuine pampering when you stay at one of the 720 guest rooms and suites at Omni Orlando Resort at ChampionsGate. 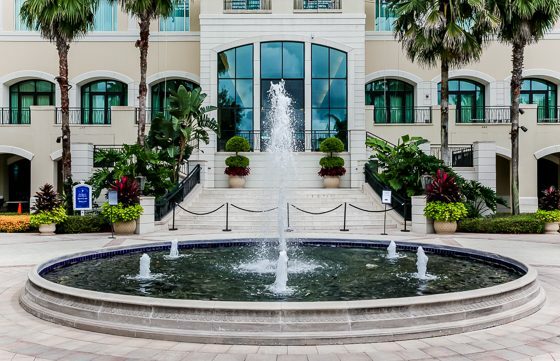 With different rooms and suites to choose from, each comes with distinctive features and perks appealing to your individual taste. 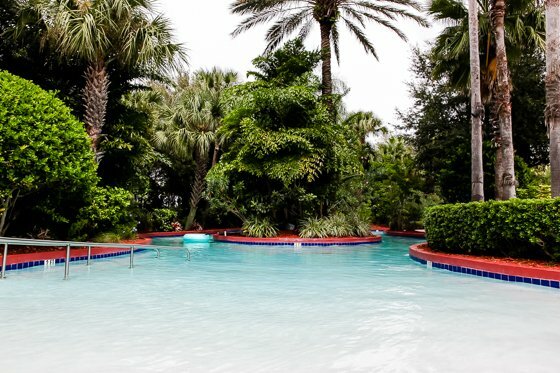 Whether its a Deluxe, a Premier Balcony Room or an ADA Accessible Room you require, or whether youd like the extra space and lavish amenities of a Studio, Executive King or Presidential Suite, at Omni Orlando Resort everything is personalized according to your wishes and individual needs. 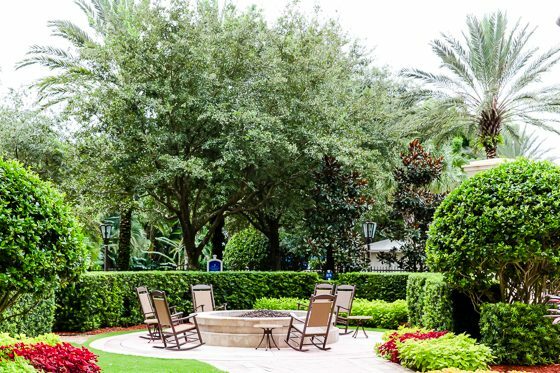 If youre planning a golf retreat with friends or family and need more spacious accommodations, as well as a full-blown experience of an unsurpassed luxury retreat with additional upgraded services, consider the two- and three-bedroom Orlando Luxury Villas instead. 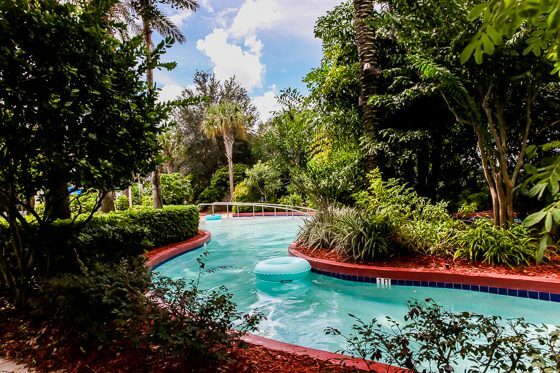 What would a magnificent resort be like without pools to relax as well as thrill you? 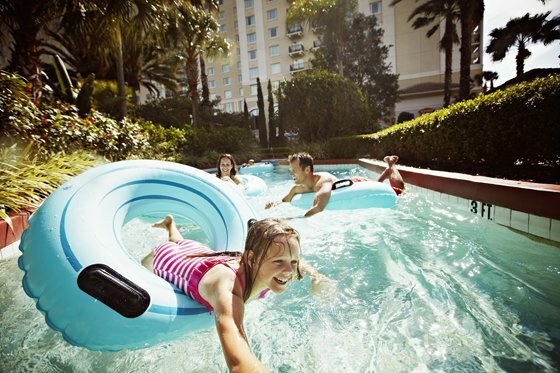 At Omni Orlando Resort, there is something for every member of your family to enjoy: from whirlpools and water slides to large pools and lazy rivers, the pace of fun you prefer is entirely up to you! 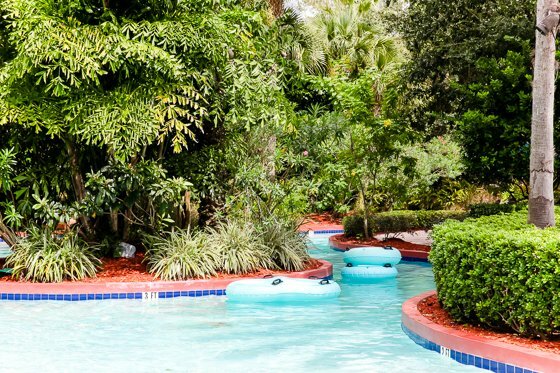 Lazy River  A 850-foot lazy river for a slow tour down through the lush vegetation of the resorts playground packed with water surprises kids of all ages will absolutely love. 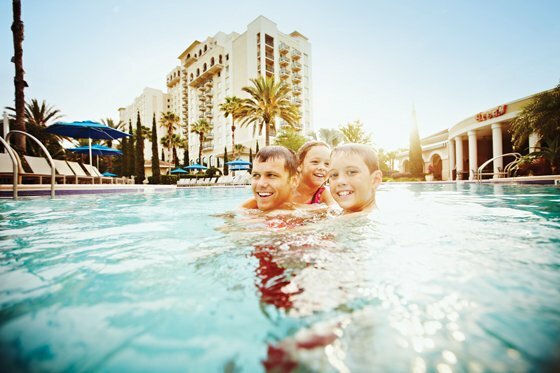 Family Pool  Submerge slowly into the pool as you would the ocean while your kids enjoy splashing in the nearby water playground, water fountains and 30-foot spilling water tower. 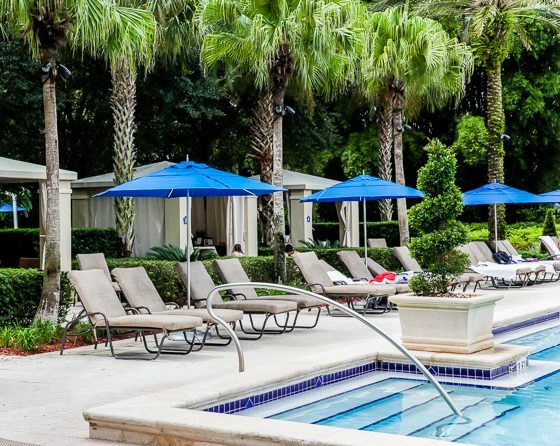 Formal Pool  Reserve one of the 8 private cabanas and enjoy pure relaxation in the comfortable and relaxing chaise lounges with complimentary WiFi and all the style you could ask for. 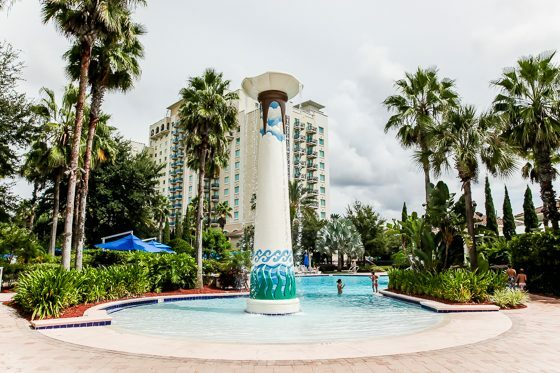 For the absolute thrill-seeking kids, a race to the top of the 125-foot corkscrew water slide, splashing and laughing all the way down is a must-try! 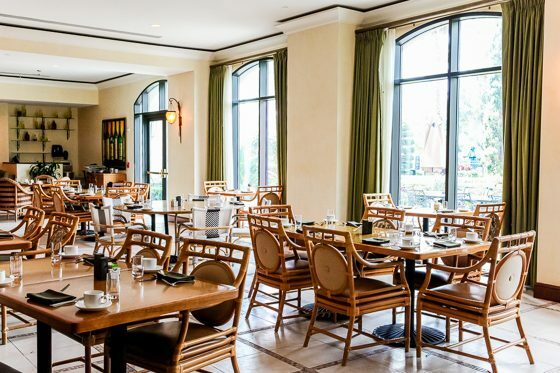 When your appetite craves something tasty and delicious to treat your taste buds, Omni Orlando Resort at ChampionsGate will not disappoint. 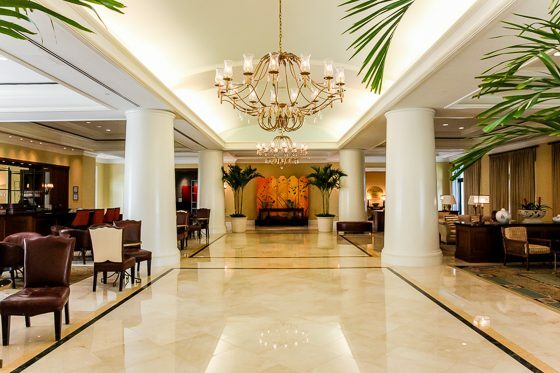 In fact, there are 7 fine dining experiences to enjoy and savor casual to upscale, world-class cuisine without leaving the resorts grounds, providing you with a gastronomical journey that will appeal to all your senses. 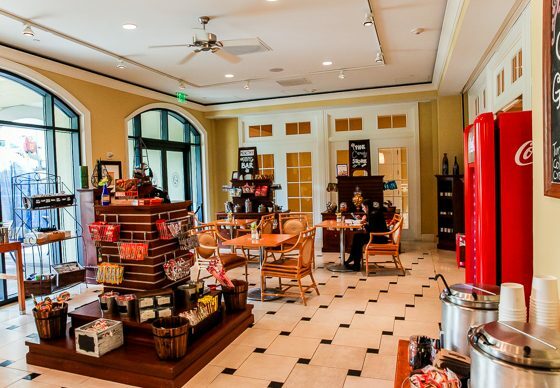 A 24-hour guest room dining service is also available with delicious cuisine to enjoy in the privacy of your room. 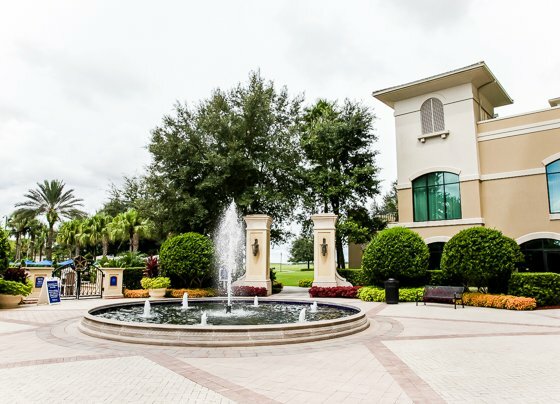 A certified member of the U.S Tennis Association, Omni Orlando Resort at ChampionsGate provides all guests with top-class sports facilities, including tennis, basketball and volleyball. With two lighted, hard tennis courts available, complimentary rackets and tennis balls, a lighted full court for basketball, and a sand court for volleyball, you can be sure theres plenty of fun to keep you in motion! 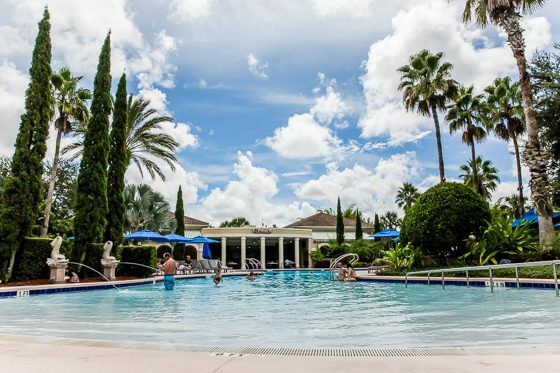 Even when on vacation, taking care of your physique has never been easier when youre staying at Omni Orlando Resort at ChampionsGate. 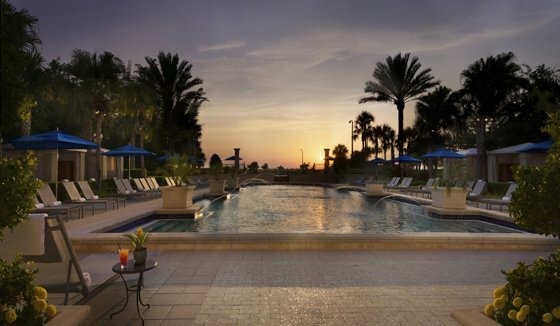 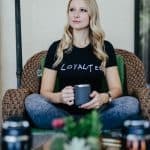 With 24-hour access to a full-service fitness center with the newest equipment and training programs available, you can maintain your fitness routine even when youre away from home. 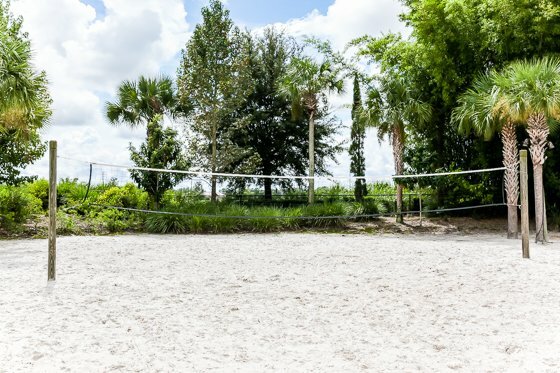 Trail paths for outdoor exercise and a heated outdoor pool are also available if youd rather add a little variation to your training. 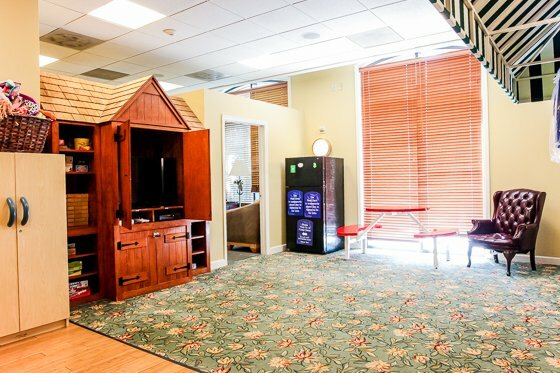 And if you prefer to work out in the privacy of your own room, an in-room Get Fit Kit is available at the front desk with everything you may require for your workout. 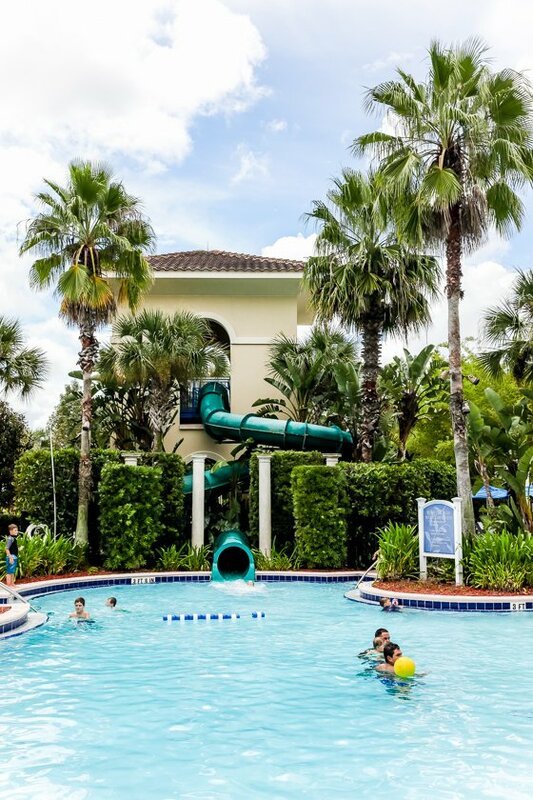 Omni Orlando Resort at ChampionsGate takes extra care to make your vacation fun and relaxing for your little vacationers, too. 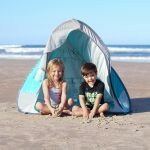 With the special Omni Sensational Kids program, all children receive an Omni Kids Bag upon arrival, with wonderful and sweet surprises to keep them delighted and entertained wherever they head to. 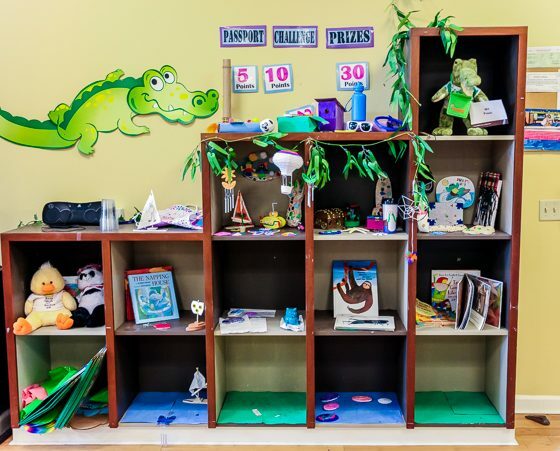 And if your kids need something more entertaining to keep them busy, a complimentary survival kit is available depending on their age: youngsters get to enjoy plenty of puzzles and books while pre-teens can have a blast with cards and video games suitable for their age. 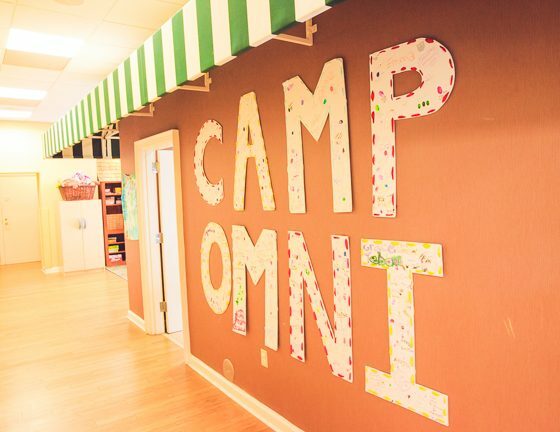 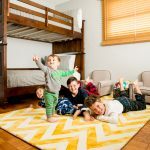 Your kids will love Camp Omni Kids Escape. 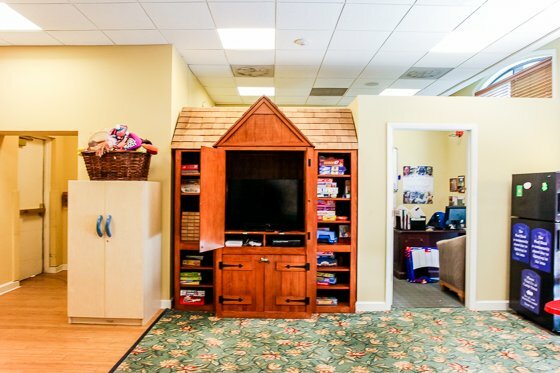 With a dedicated space to play and engage in creative and fun activities, you can enjoy some adult time knowing your kids are having a fantastic time, too. 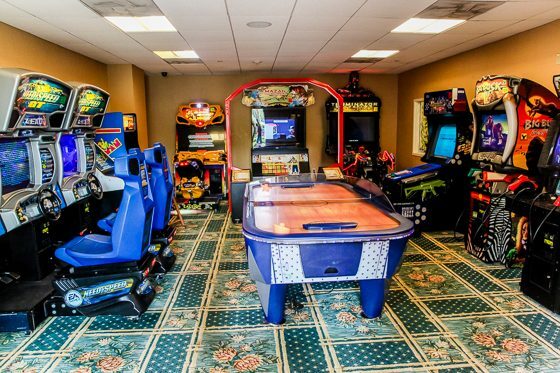 Located next to Camp Omni, the playground and video arcade are open 24 hours a day and features all of your childrens favorites: exciting video games, driving games, and air hockey. 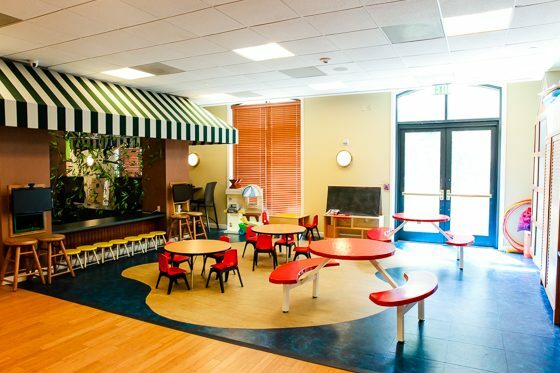 Theres also ample space to let their imaginations run wild while engaging in make-believe tales of princesses and evil witches, monsters, honorable knights and fire-breathing dragons. 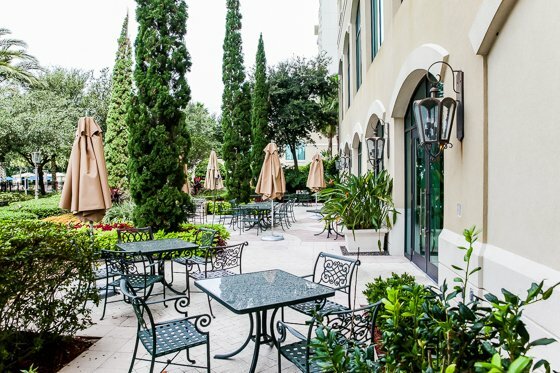 And if Mom and Dad need some alone time for a romantic dinner or a social gathering with friends at Davids Club, they can leave their kids at Camp Omni Kids Escape and know that their little vacationers are well attended. 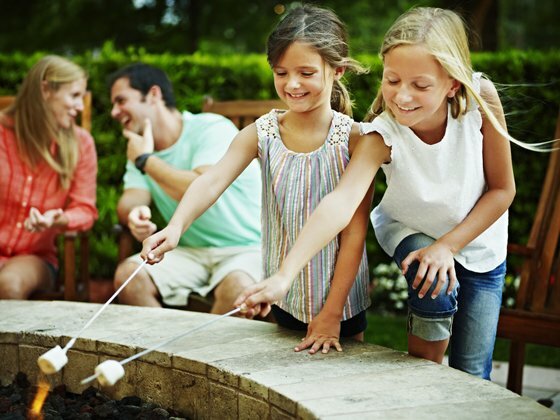 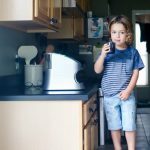 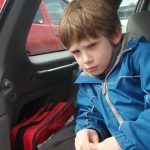 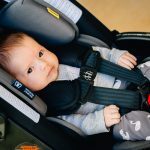 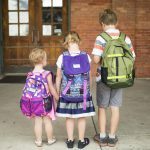 From the delicious kid-friendly dinners to entertaining board games, movies, and video games there are lots of fun activities for children between 4 and 12 years old. 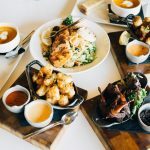 The program runs every Friday and Saturday night from 5 pm to 10 pm, and space is limited so make sure youve made a reservation in good time. 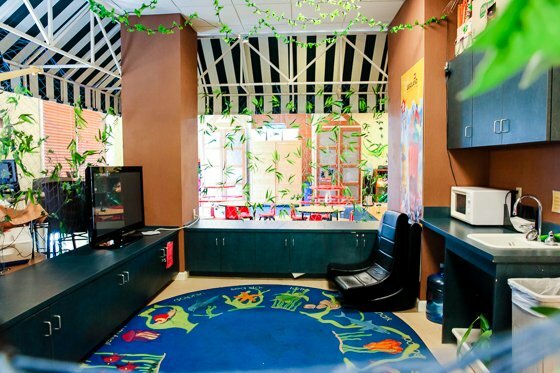 For more details, check out the Camp Omni Kids Escape information page. 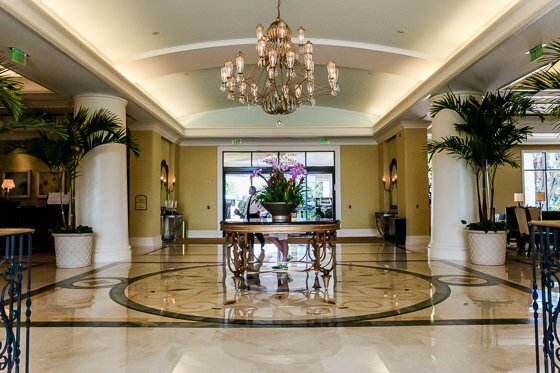 Omni Orlando at ChampionsGate is your go-to resort for all golf vacationers. 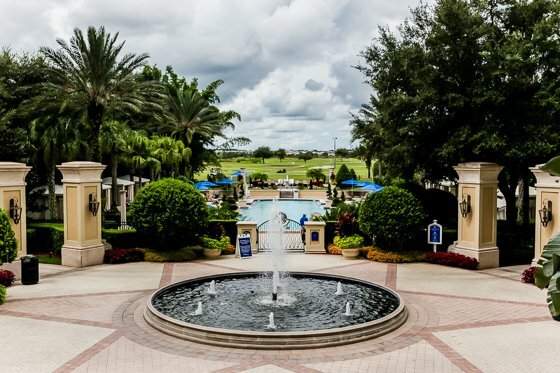 As the headquarters for the David Leadbetter Golf Academy, the resort offers a premier golf experience in a luxury setting like no other. 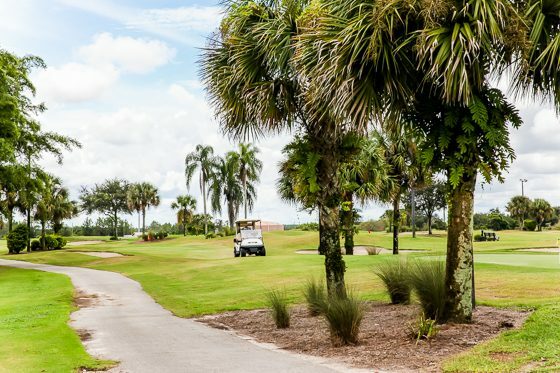 With 36 holes of world-class golf blending traditional and modern elements, you can rest assured that youll be getting nothing short of a unique golf experience. 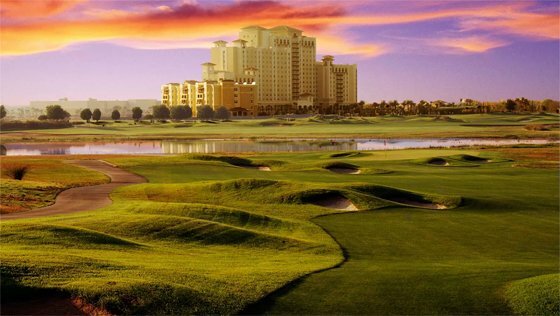 For that extra golfing experience during your vacation, consider the available Deluxe golf packages before making your booking. No vacation would be complete without a much-needed spa treatment. 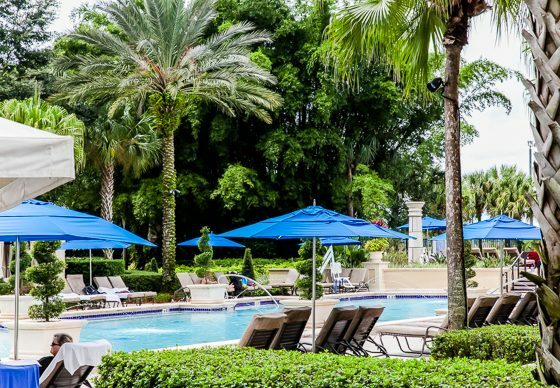 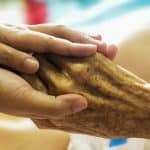 At Omni Orlando Resort at ChampionsGate, Mokara spa offers a full range of soothing spa treatments to rejuvenate your mind, body, and soul, so youre fully rejuvenated and ready to enjoy everything that comes with your stay in Orlando. 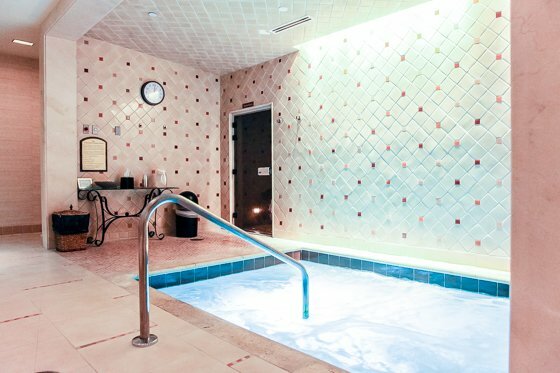 Opt for the Himalayan salts stone massage to help get your lymphatic system going and remove toxins to complete the relaxing experience at the resort. 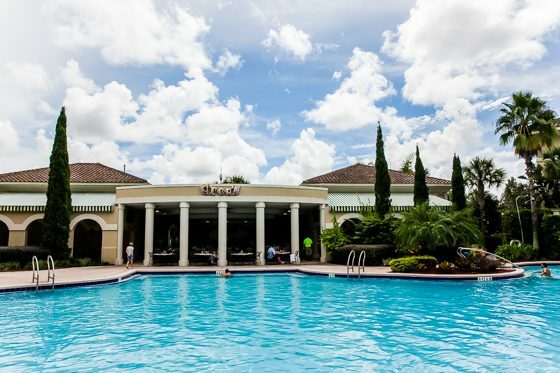 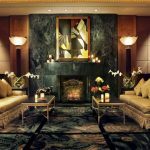 Spa vacation packages are also available if youre looking to enhance your stay at Omni Orlando Resort at ChampionsGate with luxury spa treatments or if you simply want to treat yourself to the ultimate Mokara Spa rejuvenation experience. 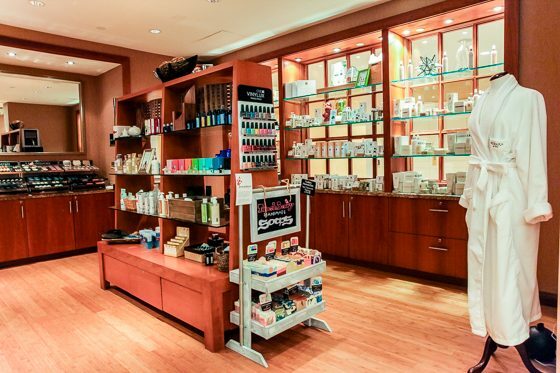 Planning to go on a shopping spree? 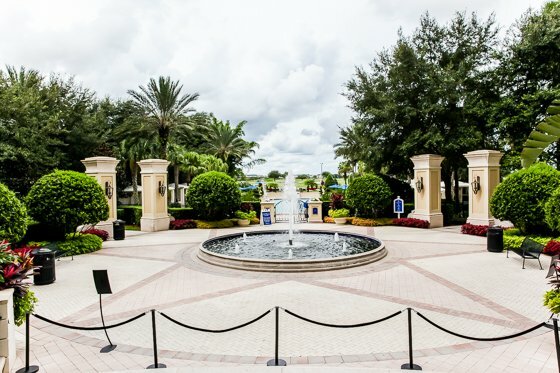 At Omni Orlando Resort at ChampionsGate, there are plenty of opportunities for shopping on-site as well as easy access to more sophisticated off-site shopping outlets. 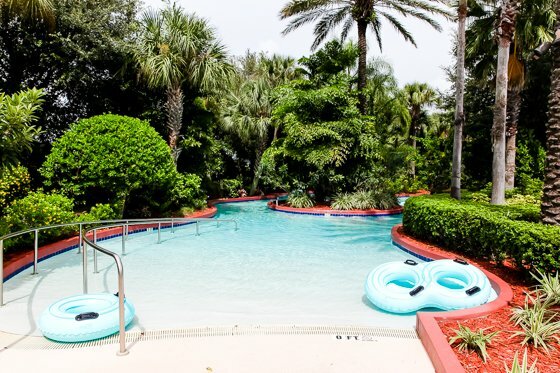 Whether a grown-up or a child, this resort offers unlimited leisure activities to satisfy every desire and need you may have during your stay. 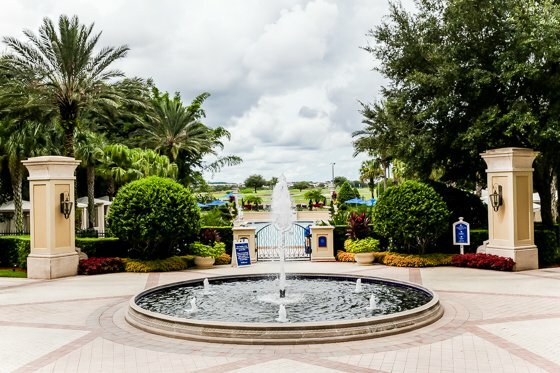 The incomparable service, the luxurious amenities and the world-class golf facilities available at Omni Orlando Resort at ChampionsGate will make your stay a unique experience you will not be able to forget.